Elk Grove New Aquatics Center and Commons • Greater Sacramento and Bay Area Real Estate - Exquisite Real Estate, Inc.
Construction on New Acuatic Center is Ready to GO!! 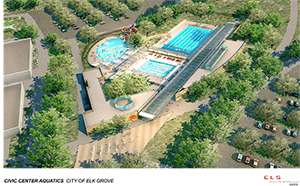 Crews will dive into their work this summer to construct the City’s new aquatic Elk Grove City Center. and a recreational pool featuring water slides, lazy river, and a zero-depth entry. 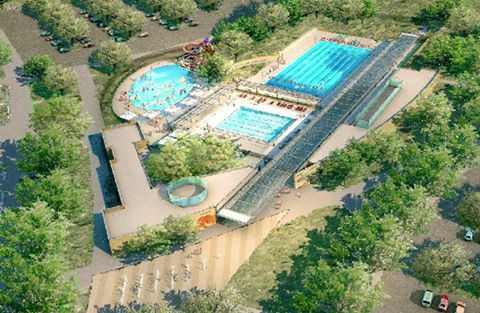 Scheduled for completion in summer 2018, the center will offer competitive aquatics, instruction, water fitness and a family recreation. Another feature within steps of the water in the Commons, and outdoor activity and event space. These elements will be joined by a Community Center, featuring a Senior Center, and Veterans Hall, schedule to open in 2019.